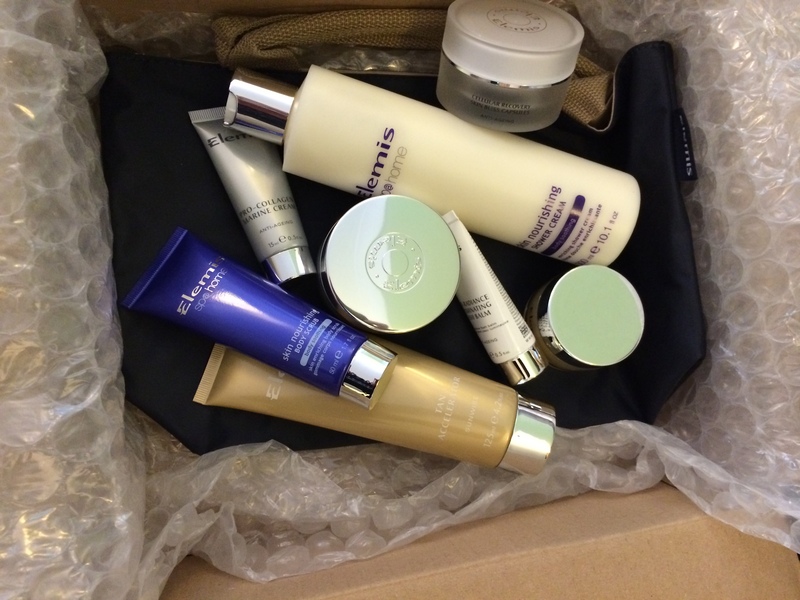 and it all came with a lovely little Elemis bag. My usual beauty regime consists of slapping on some moisturiser when I get out of the shower due to a combination of laziness and lack of funds for buying expensive beauty products, so this prize is a real treat. If you wanted to send this as a gift then the presentation inside the box probably leaves a little to be desired but the bubble wrap with it’s extra large bubbles provided No 4 with at least half an hours worth of entertainment as she merrily jumped on it until all of the bubbles were popped. It didn’t end there as for the next couple of hours she was wandering around wearing it as a cape! The leaflet that was included had suggestions for how to use the products which were divided into three sections, Face AM, Face PM and Body. I decided to have a go with it this morning so tried the Face AM routine. 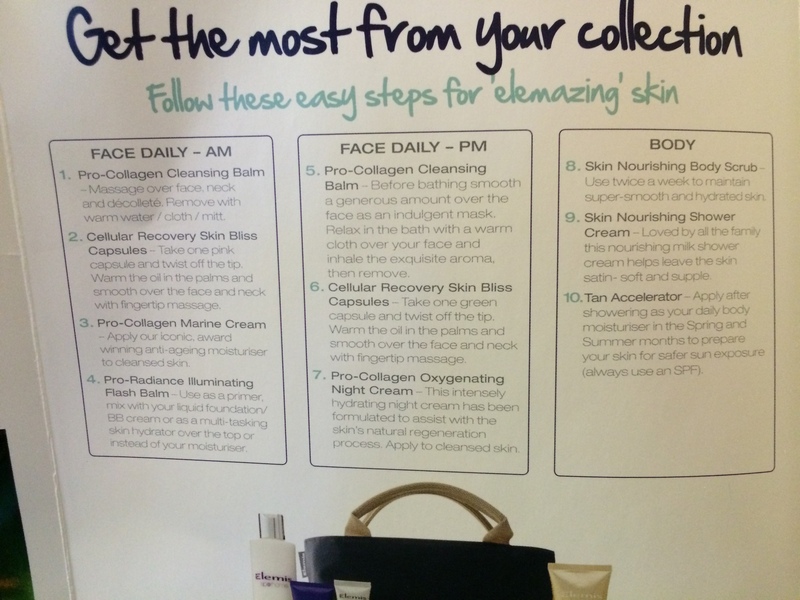 Step 1 is the Pro-Collagen cleansing balm. This product smells amazing and I kept it on for a few minutes and relaxed taking in the lovely aroma. Despite it being quite greasy it was easy to remove and left my face feeling soft. For the Face PM routine it can be used as an indulgent mask and I am looking forward to sitting in the bath with this on my face. 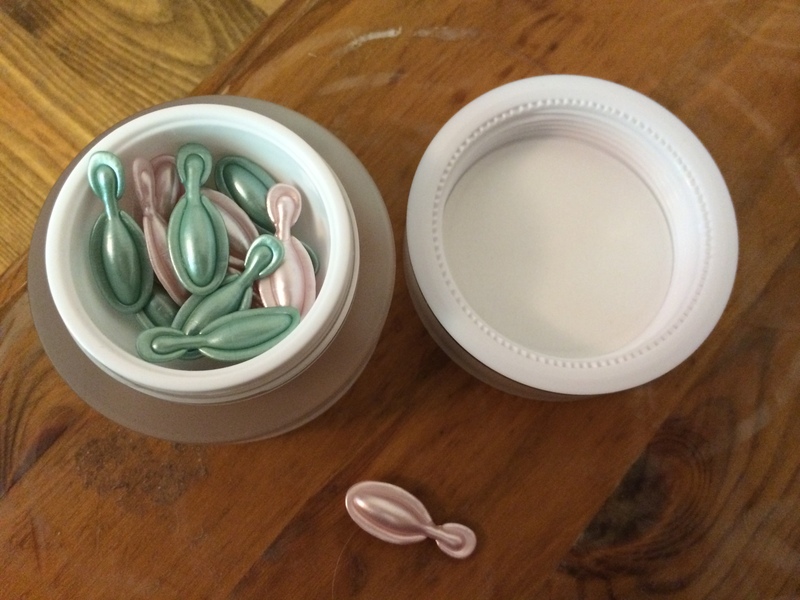 Next step was the Cellular Recovery Skin Bliss Capsules. These contain a small amount of face oil that you warm in your hands prior to applying to the face and neck. 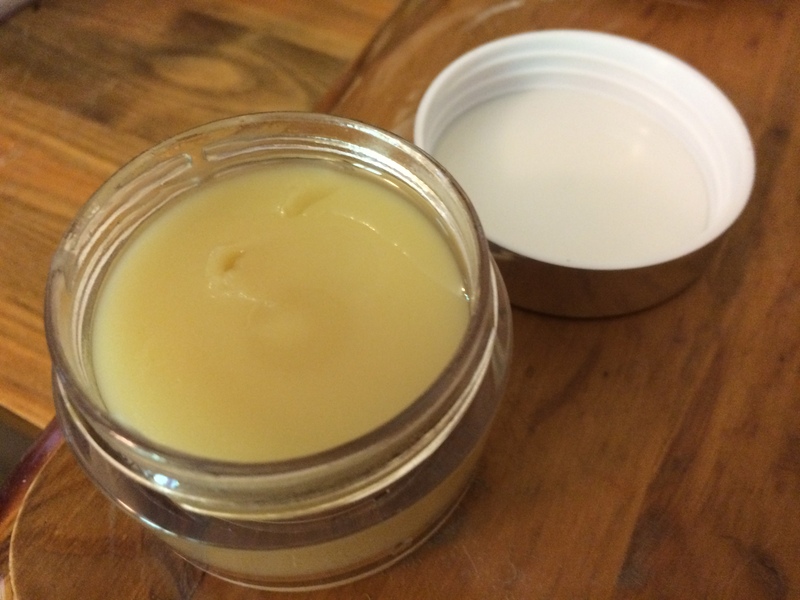 I found that there wasn’t quite enough in the capsule to completely cover my face and neck but the smell was pleasant and my skin was left feeling soft. 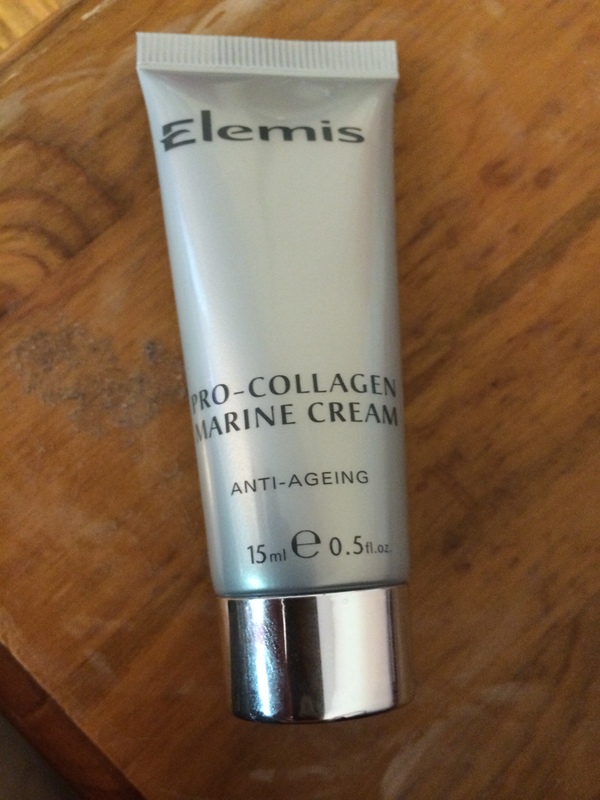 The final step of the Face AM routine was the Pro-Collagen Marine Cream. I often struggle to find a suitable moisturiser as my skin is very dry and creams often either seem to leave my skin greasy or they do not moisturise my skin sufficiently. This product is different, it isn’t at all greasy but went on really easily and left my skin feeling well moisturised. I also had a go with the Body routine. I love luxury shower creams, especially Clarins Eau Ressourçante, but due to the vast expense I can only use it when given some as a gift. I love the way that it leaves your skin soft and as it is also my favourite perfume I love being able to smell it all day. I was expecting something similar when I used the shower cream but was a little disappointed as there is not a strong scent at all. However, if you want to be able to smell your perfume this is probably a good thing. 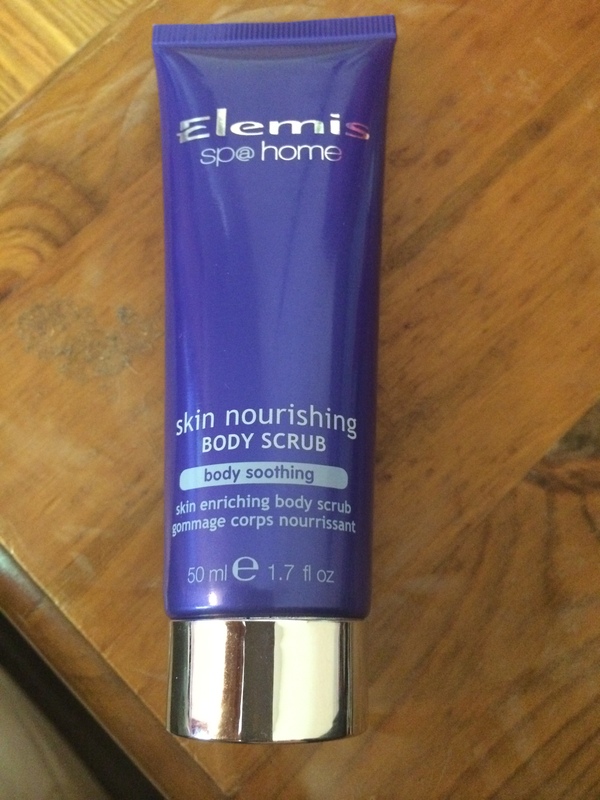 I also used the Skin Nourishing Body Scrub and between the two my legs were left feeling very soft. I followed this up with the Tan Accelerator cream on my arms and legs. The smell of this wasn’t really very nice and it’s beige colour was not appealing but it went on to my skin well and soaked in nicely, leaving my skin feeling lovely and soft. I don’t know yet if it will have any affect on me getting a suntan but as the weekend is so lovely hopefully I will find out soon! 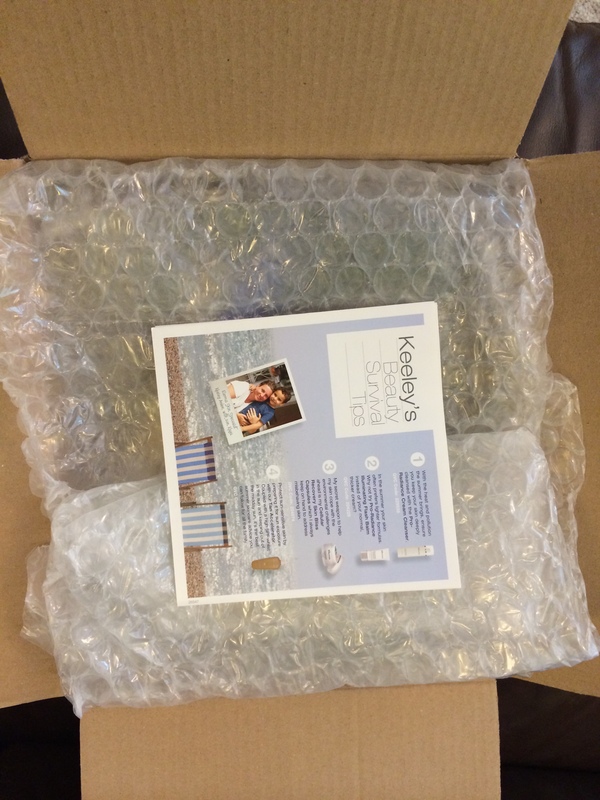 I am absolutely delighted with my prize and I’m really looking forward to having beautiful, glowing skin for the next few weeks! Sounds like you really enjoyed it!